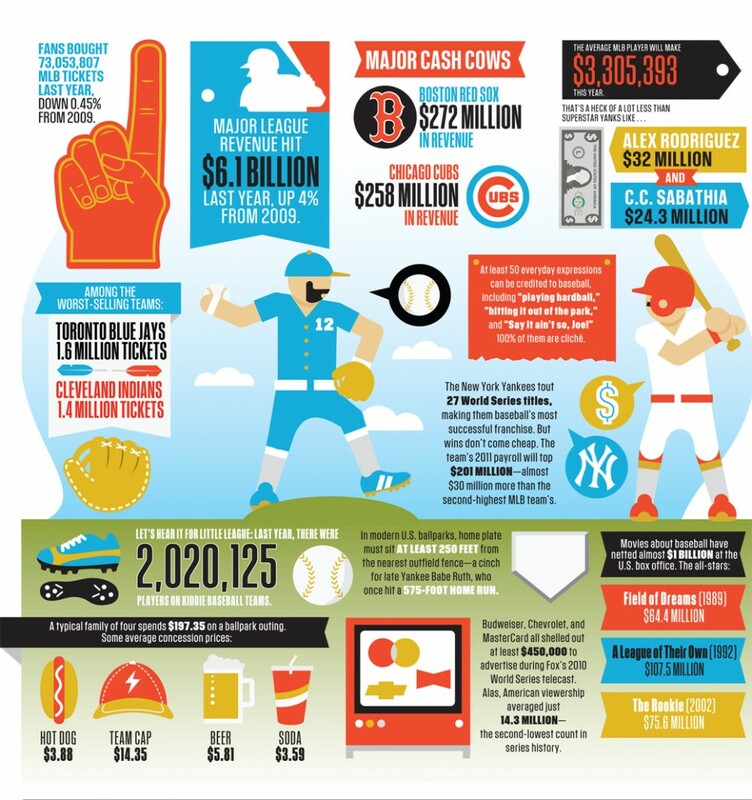 Here’s an infographic that includes an eclectic collection of numbers from 2011 surrounding the game of baseball. I particularly dig the 2 million kids playing ball in the bottom left. Gotta start ’em off right!